The Time of Angels brings the return of characters from two different Steven Moffat stories from past seasons, River Song and the Weeping Angels. The Angels are significantly different from how they were in Blink, but I imagine that when we are dealing with creatures in different parts of the universe at a different point in time seeing such differences is plausible. It would be best to wait for the conclusion of the two part episode of Doctor Who airing on BBC America to say more and this week’s BBC episode, Vampires of Venice, is unfortunately not worth writing much about. 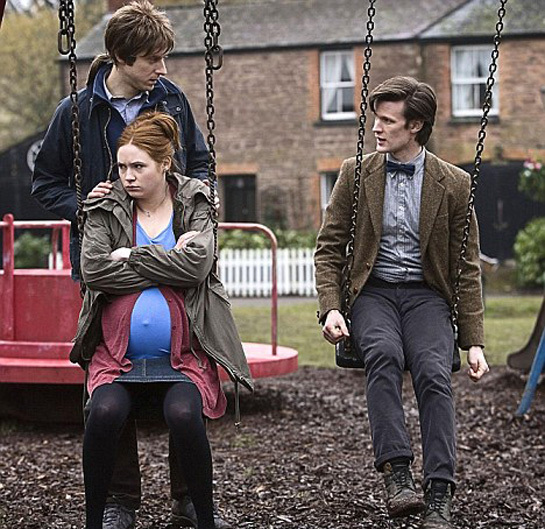 Pictures of a very pregnant Amy Pond have been floating around the internet. We’ve been told, “Viewers will have to wait and see how the pregnancy came about, but as always with Doctor Who, things are not always as they appear.” The previews at the end of this week’s BBC episode also leave a question as to how real this is. Thursday had two excellent episodes of genre shows. This week’s episode of FlashForward was written by Robert Sawyer, who wrote the book which the series was based upon. We are getting close to the day which everyone jumped forward to and learned more about Simon. Unfortunately ratings were down, making it even less likely the show will survive. Ever since we saw Walter take Peter from the alternate universe on Fringe I’ve been expecting the alternate Walter to show up here. Finally this happened, with the alternate Walter appearing not to have suffered the psychological problems of the Walter of this universe. The previews show we will also be seeing much more of the alternative universe, including their Olivia. We know that Leonard Nimoy will be returning as William Bell, but this will be the last time as Nimoy says he is retiring. This also means no more appearances by Spock Prime in future Star Trek movies. While I wish Nimoy would be continuing in his occasional role on Fringe, it is better that the original Spock of our time line will not be appearing again. Now that they have established a separate time line they should develop with only one Spock around as ours did. There was also a killer episode of Lost this week–literally. 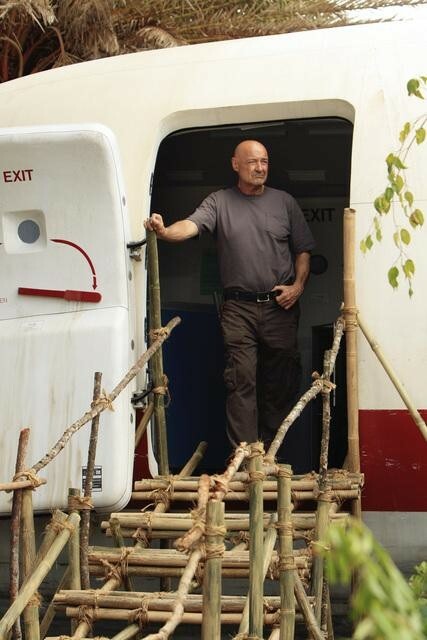 Meanwhile in the alternate time line Jack has figured out that there is a strange connection between the passengers of Oceanic Flight 815. In other stories, IO9 asks How Will Facebook Look After The Zombie Apocalypse? Steven Hawking explains how to build a time machine. Sequencing of the Neanderthal genome has demonstrated evidence of interbreeding with humans. So far there’s been no evidence of mixture with Cylon genes as suggested in the series finale of Battlestar Galactica. Posted in Blogs & Social Media, Science, Science Fiction, Television. Tags: Amy Pond, Battlestar Galactica, Doctor Who, Facebook, FlashForward, Leonard Nimoy, Lost, Rapture, River Song, Science Fiction, Star Trek. RSS feed for comments on this post.. TrackBack URL.